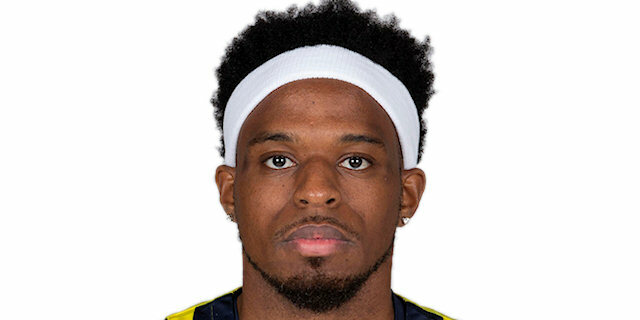 In a highly entertaining affair that had just about everything, league-leading Fenerbahce Beko Istanbul tied a club record with 17 three-point shots to come back from a double-digit fourth-quarter deficit and edge visiting FC Barcelona Lassa 88-82. The win improved Fenerbahce to a 22-4 record, two games clear atop of the standings with four rounds left in the regular season. Barcelona dropped to 15-11, in fifth place. Kostas Sloukas shined with 22 points and tied a career-high with 11 assists, while Ali Muhammed scored 17 of his 19 points in the first half. Nicolo Melli scored 13, and Luigi Datome netted 11 points in victory. Jaka Blazic led Barcelona, scoring 13 of his 15 points in the first half, while Chris Singleton and Ante Tomic scored 12 apiece in defeat. Melli hit two triples early for the hosts, but Blazic got Barcelona going. He hit back-to-back threes and scored 10 points as Barcelona took an 8-12 lead. A triple from Pau Ribas and a pair of banked shots from Tomic opened 16-23 after 10 minutes. In the second quarter, however, Muhammed got hot. He needed less than 4 minutes to knock down three triples, which tied the game at 26-26. A three-pointer from Marko Guduric, and another one from Muhammed, gave the hosts a 33-30 lead, but Tomic had a layup-plus-foul that helped the visitors take a 37-38 lead into half-time. 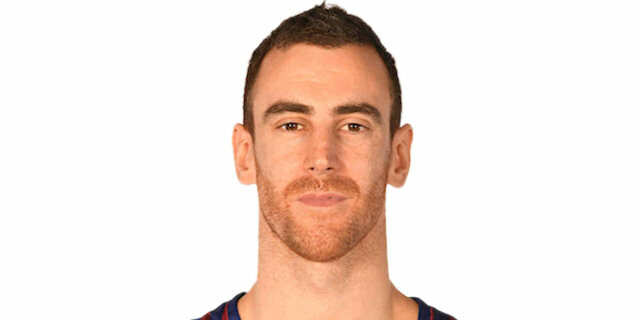 At the start of the third quarter Barcelona held the hosts without a basket for 4 and a half minutes, while Claver had a three-point play and a dunk, and Chris Singleton hit from downtown to help open a 37-50 margin. But Datome and Sloukas combined to scored 11 points, including a pair of three-pointers from Datome, and close the gap to 48-53. 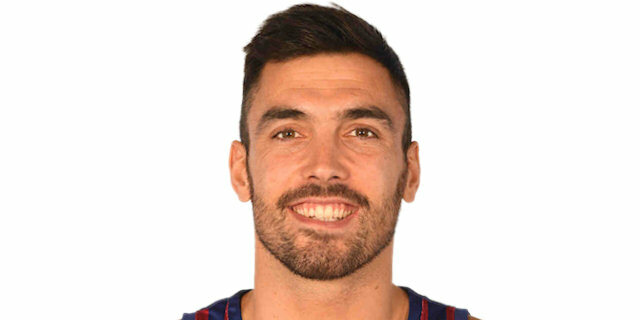 Ribas hit twice from downtown in the final 90 seconds of the third quarter, to help give Barcelona a 52-61 advantage going into the fourth, before a driving layup from Kevin Pangos followed by a Kyle Kuric three opened a 56-66 lead. But Sloukas hit from downtown and Jan Vesely scored a basket-plus-foul. After a triple-plus-foul from Kyle Kuric, Sloukas scored 8 points, including two more three-pointers, to give the hosts a 79-77 lead with 1:53 to go. A three-pointer from Melih Mahmutoglu with 22.7 seconds to go made it 84-78, sealing the deal. Kostas Sloukas had just 4 points in the first half, but then scored 13 points and dished 4 assists in the fourth quarter alonne. He was a perfect 5-of-5 from three-point range in the game. Barcelona was up 69-76 midway through the fourth quarter, but failed to score another field goal in the final 4:52. Meanwhile, Sloukas fed Melih Mahmutoglu for a transition triple, then Sloukas made two free throws and hit a triple of his own, before sinking a jumper to make it 79-77. After a block by Nicolo Melli, Mahmutoglu first made two free throws, then hit a corner triple to cap a 15-2 run and seal the game. 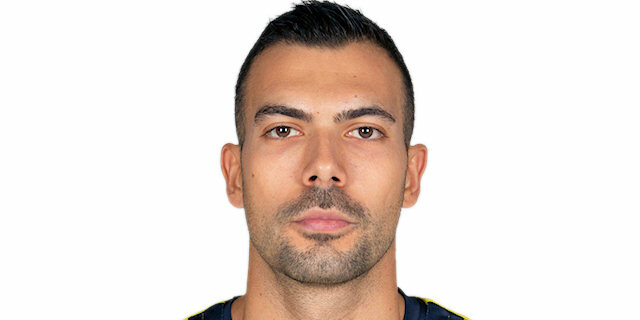 Fener tied a club record with 17 three-pointers, and set a new record with 38 three-point attempts. 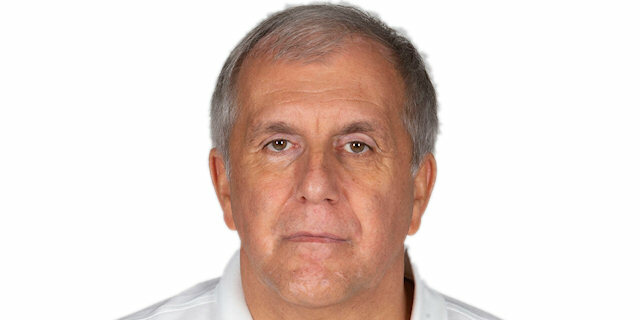 It was also the most three-point shots a Zeljko Obradovic coached team has attempted in a single game this century. Barcelona head coach Svetislav Pesic was ejected from the game after exactly 60 seconds in the first quarter after being hit by a pair of technical fouls. Both teams will be at home in Round 27 which starts on Tuedsay, and that’s the day Fenerbahce will host Buducnost VOLI Podgorica, while Barcelona will engage in an all-Spanish home clash against Herbalife Gran Canaria. "In the second half we had just 4 turnovers, and we had 4 steals. For them it was absolutely different, they had 9 turnovers and 1 steal. That’s the first thing. That means aggressiveness, desire, and I am really proud how we changed the game in the last 10 minutes. We have to understand the reason we played the way we did a lot of minutes of this game, and the only thing important is the victory. Congratulations to my players, and thanks to our fans for incredible support. Maybe in the first half there were only one or two three-point shots that were not correct. All our three-point shots were very correct. That is very important. That is how Barcelona tried to play. They did not want to leave our big guys after screen and rolls, or any action, to score under the baskets. I am very happy that we took the open shots. That is the only way." "The key is we played more aggressive in the second half. We put more pressure, played better defense and finally scored big shots and won the game. That’s the way we have to play from now on. Most of the three-point shots were really good shots, open shots. We missed some, but some we scored. That is what the defense of Barcelona gave us, and we took it. In the end, we took the risk and we are the winners." "We made some shots when it counted. That was a tough game. Barcelona came here prepared, ready to beat us. In the end, we came through and we were able to win. We did not want to lose." "It has been a very physical game for all 40 minutes. I think we controlled the rhythm of the game for 35 minutes, getting the lead, but in the last 5 minutes, we didn't do well on offense, picking up some turnovers and missing tough shots. We allowed them to get back in the game, hitting three-point shots and getting easy baskets. They took the lead and after that, both teams exchanged baskets and they ended up winning." "We needed to play better in the final minutes, looking for advantages that we found during the rest of the game and playing defense on their shooters. They got better and better as they reduced their deficit, and that gave them confidence in the final minutes. We had the game more or less under control but the win slipped away. We have to check what we did wrong, what we did right and learn from this game, so that in the next close game, we seal the outcome and don’t allow the opponent to think they can beat us."